Sonia is currently a Freshman at the University of Southern California majoring in Business Administration within the World Bachelor in Business Program. On campus she is primarily involved in the Asian Pacific American Student Association and Global Brigades, a micro-financing club. Before university, Sonia attended Punahou School in Honolulu, Hawaii. During high school she participated in symphony orchestra, cross country, debate, and was the captain of the Mock Trial team. In her senior year of high school, Sonia participated in a year-long school sponsored project based on the theme of education equity within the community. In the future, Sonia hopes to pursue a career in the nonprofit or social entrepreneurship sectors. 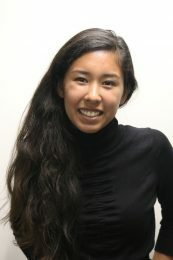 She hopes to use her experience at CAUSE and in California to give back to her community in Hawaii and effect positive change there. 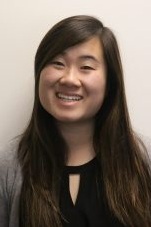 Kelli is currently a Junior at Loyola Marymount University majoring in Political Science with a double minor in Asian Pacific American Studies and Business Administration. As an aspiring civil rights advocate, Kelli hopes to learn more about the Asian American political realm during her time at CAUSE. At Loyola Marymount, Kelli strives to give her peers opportunities to help serve beyond the Westside. As the Secretary of Han Tao, the premier Chinese American Club, and External Vice President for Nikkei Student Union, Kelli hopes to build bridges between communities and on campus clubs. She hopes to better understand and support the growing Asian American community in the Greater Los Angeles area. Kelli is a former Kizuna Nikkei Community Intern. Through Kizuna’s internship program, Kelli was able to enhance her business background as a Marketing and PR Intern at IW Group in West Hollywood. During her time with IW Group, Kelli immensely enjoyed learning about the advertising world through the lens of the Asian American community.